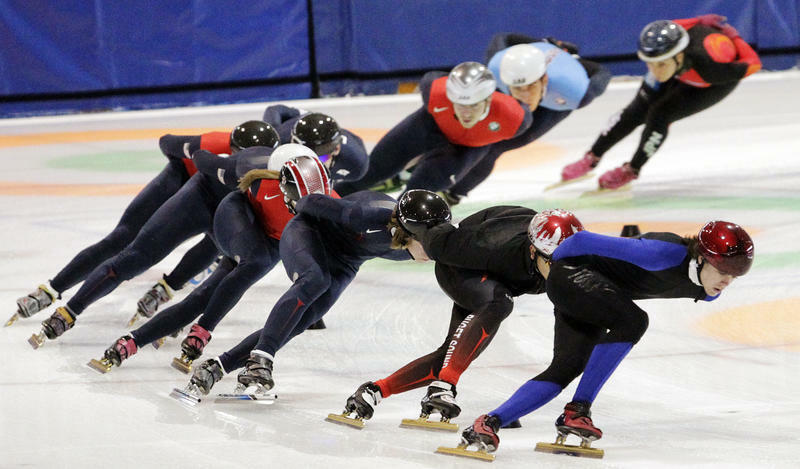 The coaches accused of physically abusing U.S. short track speedskaters and failing to report one athlete's sabotage of a competitor's skates have resigned. 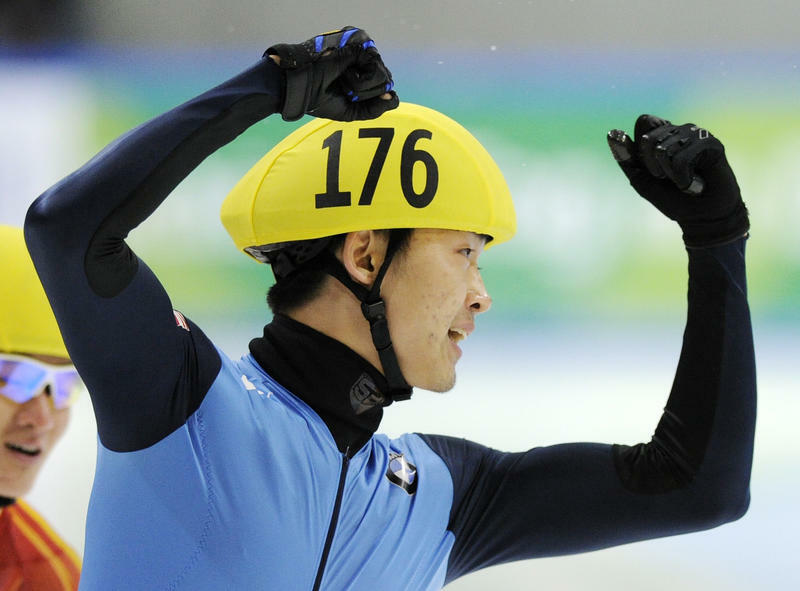 American speedskater Simon Cho says what he did was "wrong" when he yielded to what he claims was persistent pressure from a coach to tamper with another skater's blades at the World Short Track Team Championships in Poland last year. 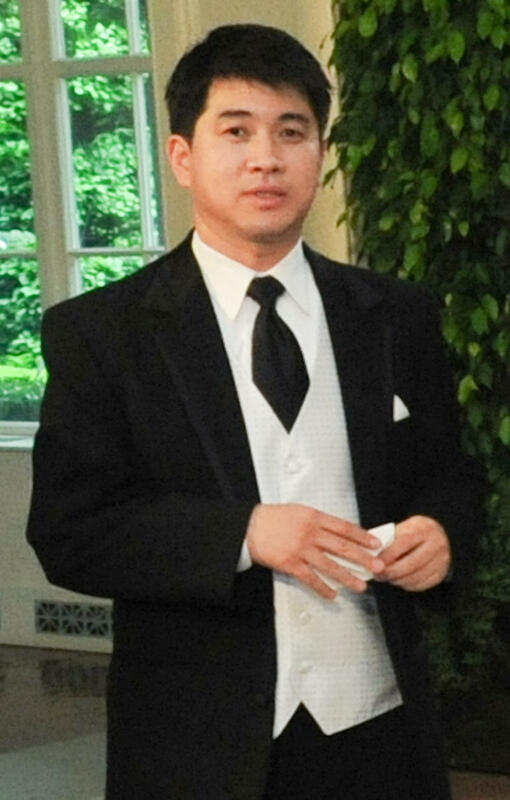 "Tampering with someone's skates is inexcusable," Cho told NPR in his first interview about the incident. "And I'm coming out now and admitting that I did this and acknowledging that what I did was wrong." 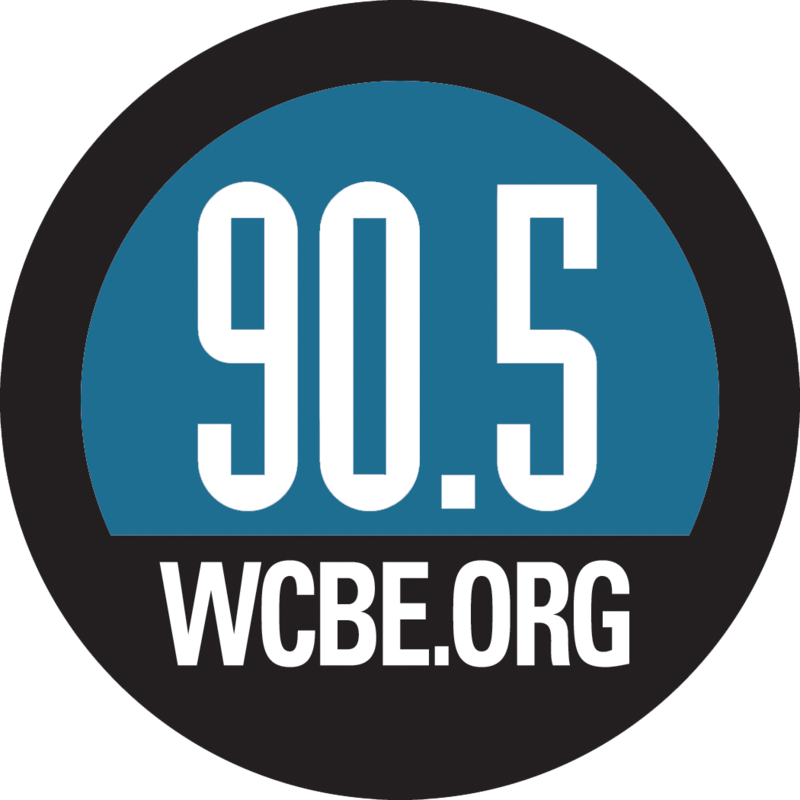 The Washington Post and the Chicago Tribune also spoke with Cho earlier this week after the NPR interview. 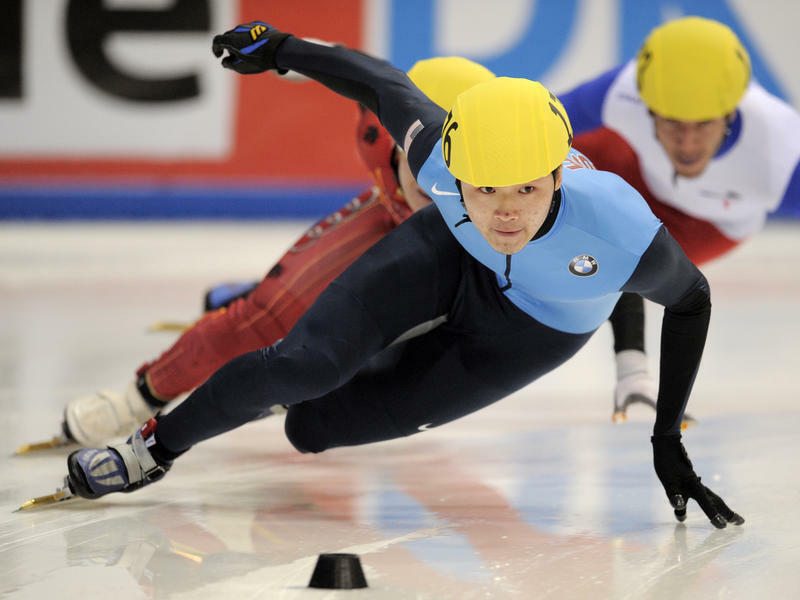 More than the ice is frosty at the Olympic Oval outside Salt Lake City this week, as short track speedskaters begin the 2012-2013 season. U.S. skaters are split over allegations of abuse leveled against two coaches and a claim that one coach ordered the sabotage of a Canadian competitor's skates at an international competition last year. 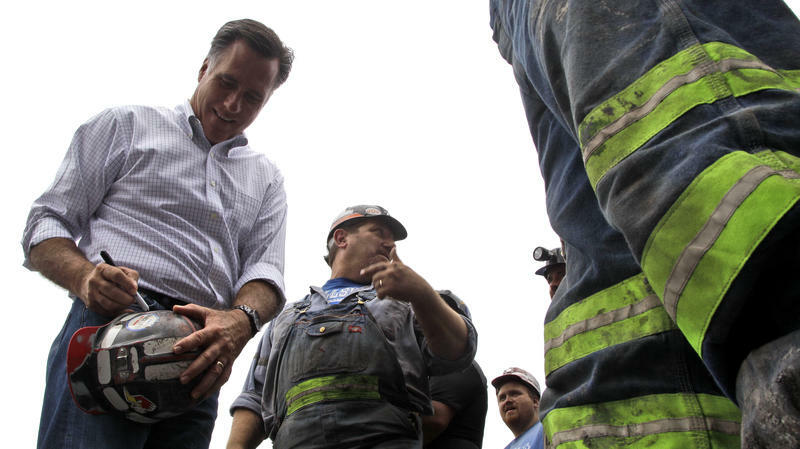 The nation's smallest and most remote places are providing Mitt Romney's biggest margins in battleground states as the 2012 presidential race enters its final weeks. In fact, rural counties are keeping Romney competitive in the states that are now up for grabs. That's what a new bipartisan survey indicates. The poll also finds that President Obama's rural support has plunged since 2008. The allegations of physical and verbal abuse at U.S. Speedskating have a new twist: A coach allegedly directed a skater to tamper with the skates of a Canadian competitor at an international competition last year — and the skater complied. The abuse allegations against U.S. Olympic short track speedskating coach Jae Su Chun have escalated with a demand for arbitration and an "open and ongoing investigation" by police. But while a large group of skaters charge Chun with abuse, another set has issued a statement in support of the coach. U.S. Speedskating has placed head short track coach Jae Su Chun on administrative leave in response to complaints of physical, verbal and psychological abuse. Nineteen current and former skaters, including five Olympic medalists, signed complaints filed with U.S. Speedskating and the U.S. Olympic Committee. An attorney for the skaters says two of the athletes are also completing police reports in Utah, where U.S. Speedskating is based and where the athletes train. Two big gold medal matches of the Olympics are set for tonight in London. Both involve American women's teams with extraordinary incentives to win. The American women's water polo team will again chase an elusive gold medal, this time at the London Olympics. The team qualified for the gold medal match by defeating longtime Olympic rival Australia. Tied after regular time expired, the Americans scored two goals in overtime to beat the Australian water polo women, 11-9. Now the U.S. team moves on to the gold medal match Thursday. As Michael Phelps left a news conference at the Olympic Aquatic Center on Saturday, a photographer rushed up and asked, "Can I get one more photo?" Missy Franklin couldn't contain herself — in the pool, on the medals stand and at her first gold medal news conference — after a dramatic finish in the 100 meter Olympic backstroke Monday night in London. It wasn't an easy race. Out front and pulling hard with her graceful but powerful strokes, Emily Seebohm of Australia led in the last 50 meters, with the American Franklin a few strokes back. The technology that makes walking possible for amputees is also making running possible at the Olympics. On Saturday in London, South African Oscar Pistorius will run on artificial limbs in the 400-meter sprint. 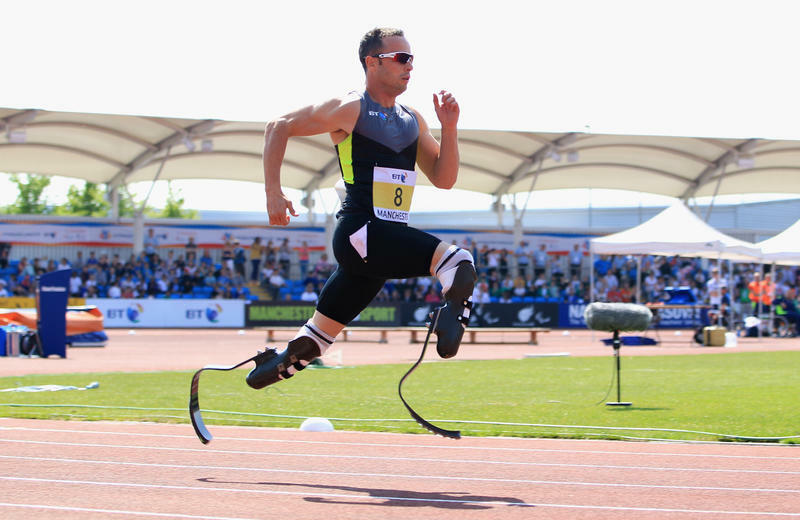 Pistorius is a double amputee who runs world-class times on his carbon-fiber legs. At last month's Prefontaine Track and Field Classic in Eugene, Ore., Pistorius ran in the inside lane of the 400-meter race. 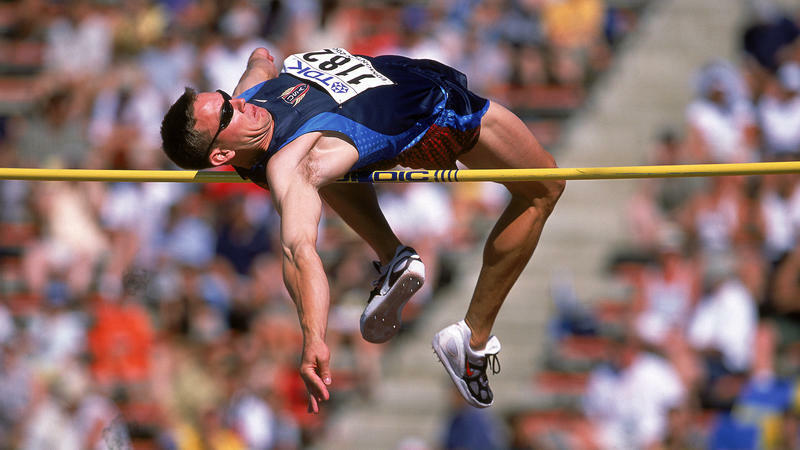 He leaned forward on his knees and fingers, and slipped his feet into the starting blocks — well, they're not actually feet. Enduring symbols of the Olympics are everywhere in London, and I'm not just talking about ATMs for Visa, a ubiquitous Olympic sponsor. The five Olympic rings grace every wall, walk, sign, banner and building in and around the Olympic Park and other venues. 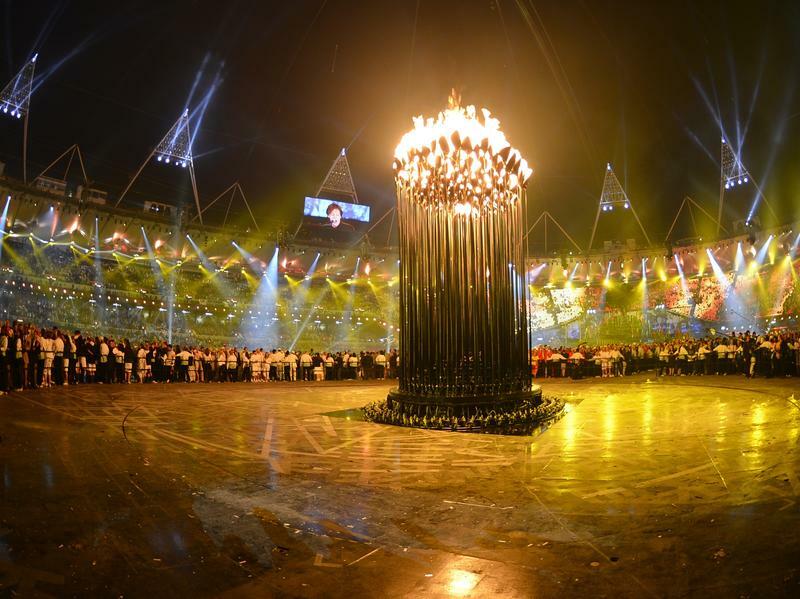 But the Olympic flame, the other most recognizable symbol of the Olympics, is invisible to all but a relative few. 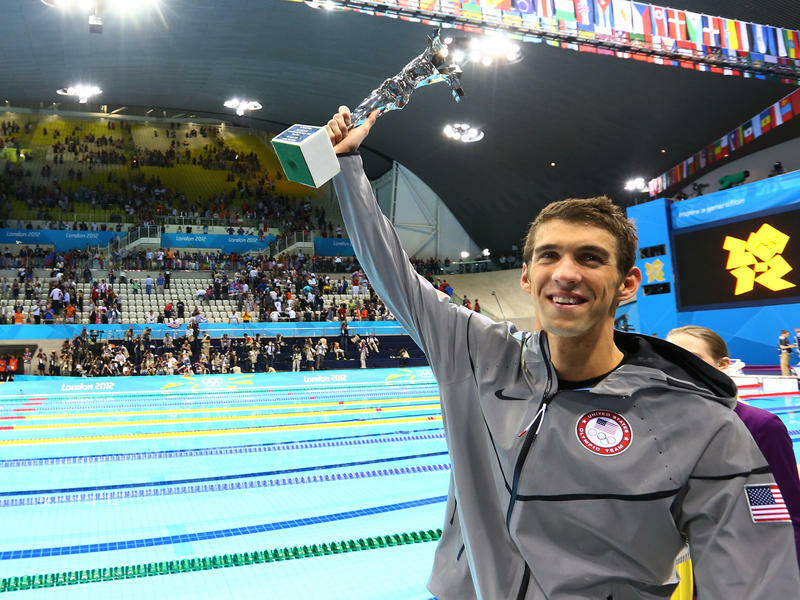 Is Swimming Superstar Passing The Torch? 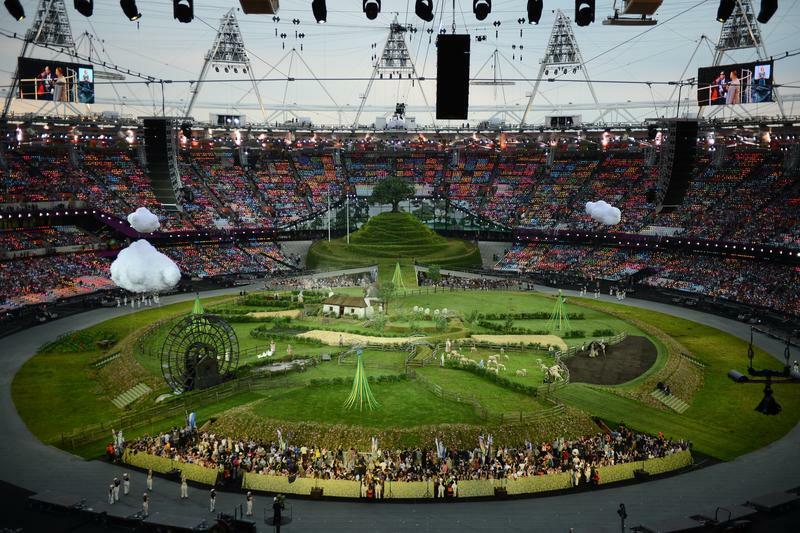 Every recent opening ceremony of the Olympics went for glitter and glamour, in an escalating war of excess. 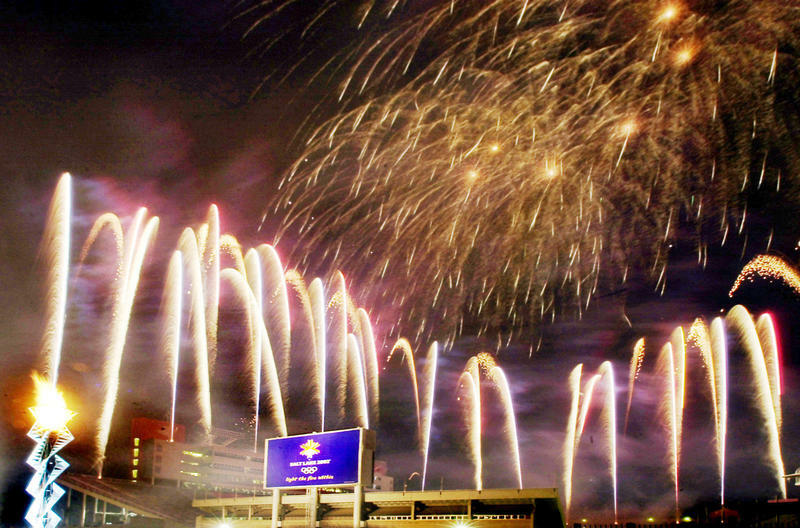 Ceremony fanatics consider the Beijing opening ceremony the gaudiest of all — and Oscar-winner Danny Boyle (the director of Slumdog Millionaire) had $42 million to try to outdo the Chinese organizers. Instead, Boyle says, "You can't get bigger than Beijing. So that, in a way, kind of liberated us. We thought, 'Great. Oh good. We'll try and do something different, then.' "
"What's in a name?" a British writer named Shakespeare once asked in Romeo and Juliet, long before the Olympics ever came to London. Well, it turns out that some Olympic names herald the greatness athletes seek, and the events they enter, while some bear monikers better suited for others. Olympic reporting veterans like myself (London is Games No. 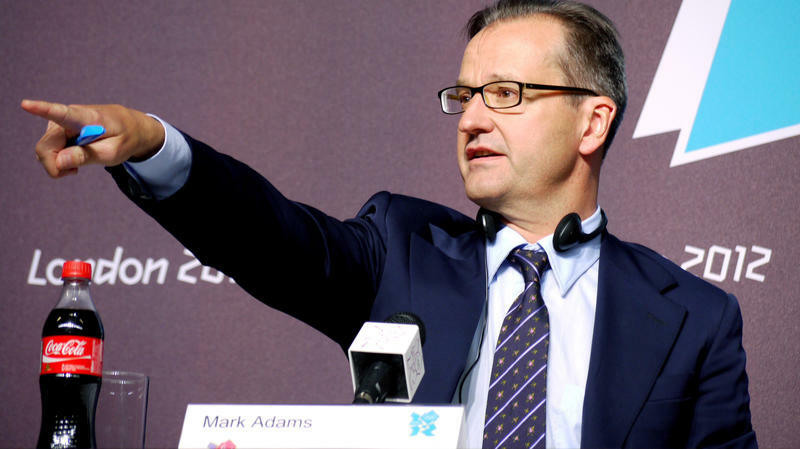 8) noticed something extraordinary this weekend at the first London 2012 news conference called by International Olympic Committee president Jacques Rogge. The "something" sat there on the podium, directly in front of Rogge: an aquamarine bottle of Powerade, a Coca-Cola product. And next to Rogge, in front of IOC spokesman Mark Adams, was a carefully positioned bottle of caramel-colored Coke. Dozens of photographers and TV cameras were capturing the event; it seemed impossible to miss the OIympic sponsor's products. 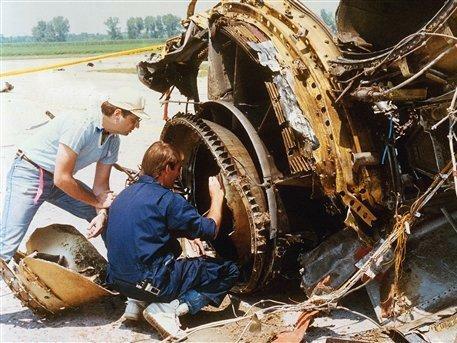 Republicans on the House Appropriations Committee have inserted into a broad appropriations bill language that would block funding for a Labor Department effort to reduce the occurrence of black lung, the disease that afflicts coal miners exposed to excessive mine dust. 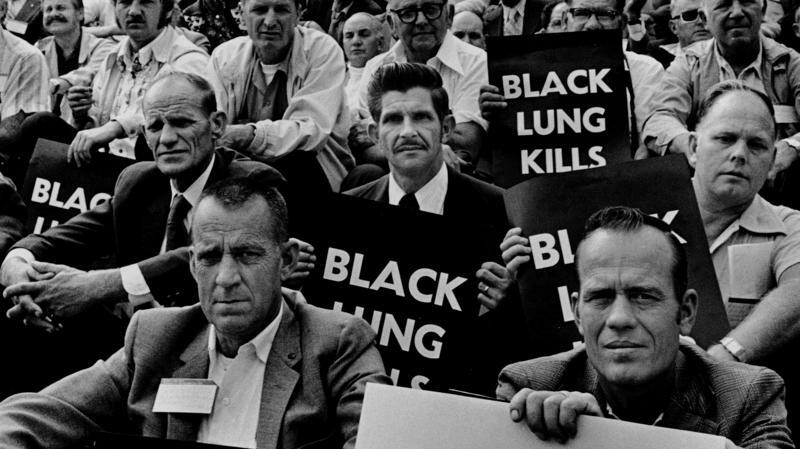 NPR and the Center for Public Integrity (CPI) have learned that the Mine Safety and Health Administration (MSHA) and the Labor Department are putting together a team of agency experts and lawyers to specifically consider how to bolster coal mine dust enforcement given the statutory and regulatory weaknesses detailed by NPR and CPI this week in stories about the resurgence of black lung. 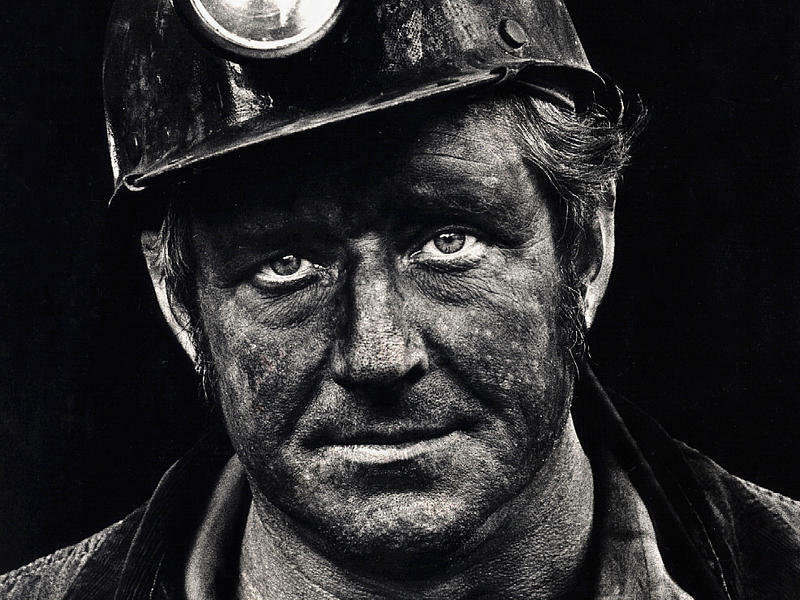 Thousands of coal miners continued to suffer and die from black lung during the 40 years that tough new limits on exposure to coal dust were supposed to provide protection. One year ago today, Alpha Natural Resources officially absorbed the troubled coal mining company Massey Energy, which had one of the worst safety records in the industry. New Revenue Deal Means Olympics Could Now Return To U.S. The United States and International Olympic Committees have formally announced a revenue-sharing agreement that paves the way for the return of the Olympics to the U.S. Details of the deal were not released but sources familiar with it say it guarantees the U.S. Olympic Committee (USOC) at least $110 million a year from international Olympic sponsorships and the American rights to televise the games. Olympic officials meeting in Quebec City have reached a tentative agreement in a persistent revenue-sharing dispute responsible, in part, for keeping the Olympics out of the United States for at least 20 years. The dispute centers on the American share of Olympic revenues. Since 1984, The United States Olympic Committee (USOC) has received the biggest portion of the billions of Olympic dollars paid by corporate sponsors and American television networks. And the rest of the Olympic world has resented it. 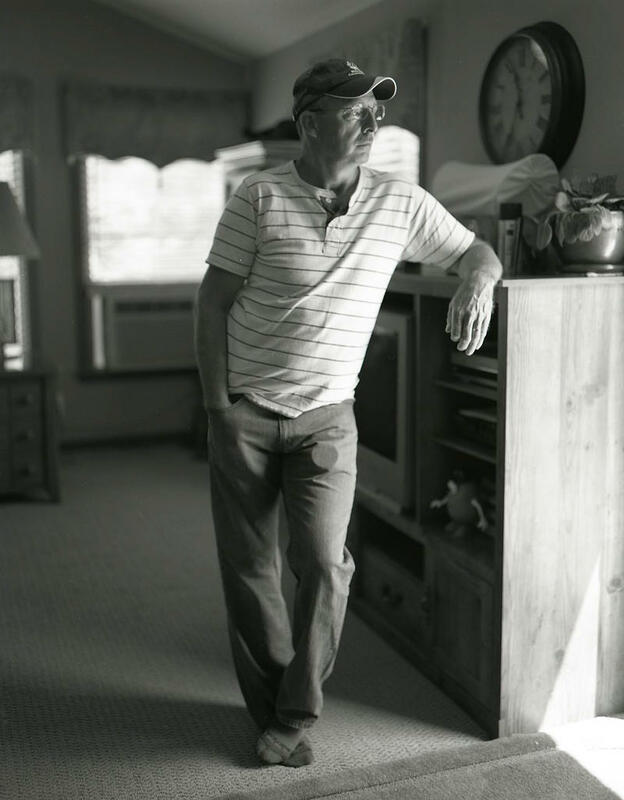 Tonight, in Whitesville, W.Va., mourners will silently walk with candles on sidewalks lined with luminary lights to remember the 29 coal miners who died two years ago today in the nation's worst mine disaster in 40 years. That memorial will follow a 3 p.m. ET event in Beckley,W. Va., where an honor guard will ring a bell 29 times to mark the moment the Upper Big Branch coal mine erupted in a massive explosion. Thursday's guilty plea and plea agreement from the former superintendent of the Upper Big Branch coal mine in West Virginia is a key step in the effort to seek criminal charges further up the corporate ladder at Massey Energy, according to court documents and the U.S. Attorney for the southern district of West Virginia.